Release Date:12/07/2018;Notes:Vinyl LP pressing. 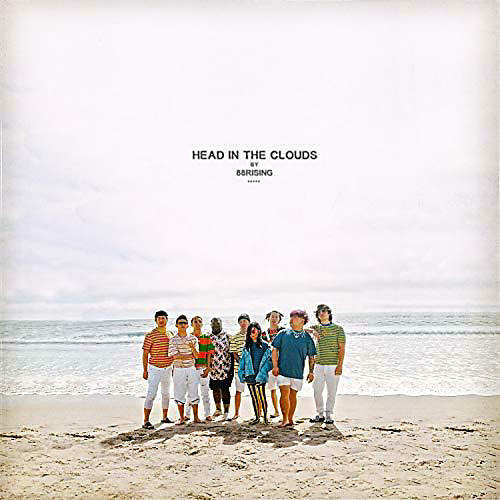 88Rising, the pioneering music and arts collective, present their long awaited crew album Head In The Clouds. While all 88Rising artists have excelled in their solo careers they've always operated with a crew mentality and it's with this collection that they were able to bring that to life. Representing 5 countries in Asia the whole crew - Rich Brian, Joji, Higher Brothers, NIKI, AUGUST08 and Keith Ape - all flew into Los Angeles, CA to record the album for two and a half months creating a chemistry that can be felt throughout. Featuring the standout hits, "Midsummer Madness," "History" and "Peach Jam," and A-List collaborations with BlocBoy JB, Famous Dex, Playboi Carti, 03 Greedo, and GoldLink, the album is the next step in the evolution of the already massively successful and respected artist collective. 88Rising have been steadily making a name for themselves bridging Eastern and Western youth culture and Head In The Clouds is the culmination.